More Americans are turning towards hybrid Long Term Care Insurance solutions to help them plan for long term care, according to a recent review conducted by LIMRA. Individual hybrid life and Long Term Care Insurance policies have seen huge growth in the past few years. LIMRA released the results of their 2014 Individual Life Combination Products Annual Review and they revealed a substantial rise in the sale of hybrid Long Term Care Insurance and life insurance products. In 2013, sales of hybrid policies grew 12%, marking the 5th consecutive year of double-digit growth. Total new premiums for combination, or hybrid, products hit $2.6 billion in 2013, making up 13% of total individual life insurance new premiums for the year. 98,000 hybrid policies were sold in 2013, up 13% from the previous year. The rapid growth in sales exemplifies a shift in perception of older adults, mainly Baby Boomers. As they begin to recognize the financial retirement crisis that looms, more Boomers are stepping up to prepare for the risks that lay ahead in the future as they age, including long term care. The acceleration policies, which provide long term care benefits up to the life death benefit amount, saw an 18% increase in sales in the past year, representing 75% of market share by policy count. Some people who feel traditional Long Term Care Insurance policies are too much of a gamble are turning towards these hybrid Long Term Care Insurance products to kill two birds with one stone. The death benefit in the hybrid policies can be utilized to pay for long term care of the policyholder and anything left after his or her death is still given to the heirs. 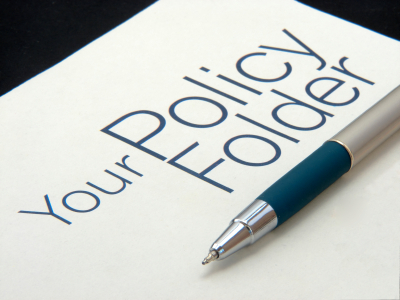 On top of helping pay for long term care, hybrid policies leave open the potential for policyholders to get their paid premiums back if they change their mind and decide they no longer want the policy. That isn’t an option with traditional Long Term Care Insurance. Hybrid policies provide an option for those who can benefit from both life insurance and Long Term Care Insurance, but if you have no need for life insurance, then these types of products aren’t a wise investment. For parents with adult children or individuals with enough assets set aside to bypass the need for life insurance, traditional Long Term Care Insurance may be a better option. Read more about how Long Term Care Insurance works or if you are interested in finding out how much a policy will cost you, fill out this form to request a quote and we will be in touch with you shortly.